Integrative Cancer Treatment is a unique therapy for treating individuals with cancer. 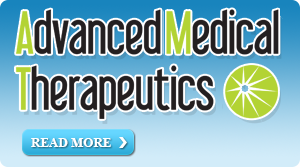 This therapy utilizes multiple modalities, including but not limited to, off-label pharmaceuticals, neutraceuticals, vaccines and other types of immunotherapy, novel drugs/substances not yet approved in the U.S., dietary treatments, mind-body techniques, hyperthermia, homeopathy, in addition to traditional therapy. Why should cancer patients seek ICT vs. traditional cancer treatment? Overall survival benefit of less than 5% has been achieved in the adjuvant treatment of breast, colon, and head and neck cancers. Clearly, the need for an alternative form of cancer treatment is great and imminent. Who should attend the Integrative Cancer Fellowship? All healthcare practitioners can benefit from this fellowship. In addition, all healthcare practitioners, regardless of specialty, can practice ICT. Although oncologist are welcomed and urged to attend this fellowship, the majority of attendees will be non-oncologists. What benefits will be afforded by attending this fellowship? The knowledge gleaned from attending this fellowship will allow practitioners to provide improved cancer treatments, allowing a better quality and quantity of life for cancer patients. In addition, practitioners will be learning “cutting edge” therapies. Although, monetary gain should not be the primary motive, this type of practice is lucrative to the healthcare provider. Because much of the alternative treatments is not covered by insurance, the patients must pay out of pocket. This is analogous to the practice of Anti-aging Medicine. Calorie Restriction, Amino Acid Restriction, Carbohydrate Restriction, and the Ketogenic Diet- can these dietary manipulations affect cancer outcome? Participants will leave the Fellowship competent to practice Integrative Cancer Therapies without supervision in his or her area of medical specialty. Open to physicians, physician assistant, nurse clinicians, pharmacists, D.D.S. and chiropractors. For more information call (561) 886-0976.